Eurotempest are pleased to announce the Modulus SMW – the secure mobile workstation, adapted to the new ways of deploying PC tablets in the field while ensuring proper implementation of formal security mechanisms required by defense and government users. Modulus SMW is based on Panasonic’s FZ-G1 – a Windows-compatible rugged tablet with excellent performance on screen brightness, battery life and robustness. Eurotempest engineering has contributed with a non-invasive docking solution to the Panasonic FZ-G1, bringing high-assurance FIPS compatible Eclypt encryption, NATO TEMPEST shielding against compromising emanations and fibre-optic connectivity for an end-to-end secure workstation solution. The solution replaces a stationary PC computer with a convenient PC tablet alternative that equals a standard desktop PC in performance. 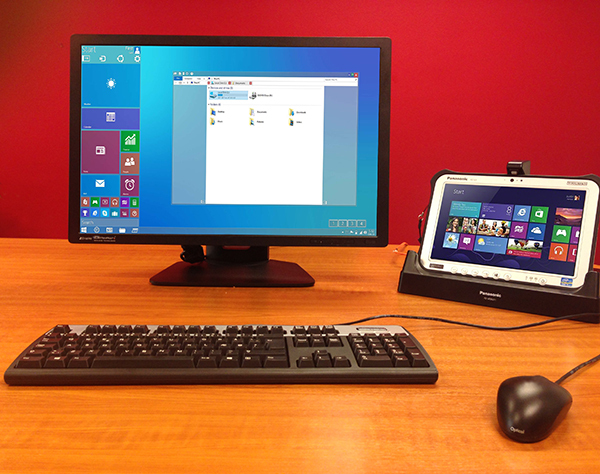 Download the product sheet here: Modulus_Secure Mobile Workstation.